" I know you in my civilian life and were closer then you think." Chat told her.
" What in the world how am I supposed to go on with that. Chat why do I have to figure it out?" Marinette whined.
" Don&apos;t fret princess I&apos;ll give you clues about it just be very observent. Also I go to your school and see you nearly everyday. "Chat told her. Then he pulled her in for a kiss. He gnawed at her bottom lip and then he licked her lip almost asking for permission. To his delight he let her and he explored her mouth. Then he pulled away. " Sadly I believe breathing is a nesesity princess. I have to go I&apos;ll see you soon Mari. How in the world am I supposed to find him. Urrrg. I gotta go to school." Here Tikki its your cookies for the day. Hey um you wouldn&apos;t happen to know who Chat Noir is do you?" 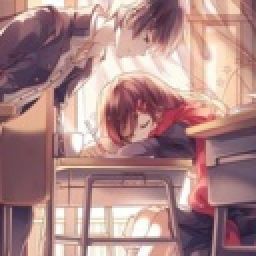 I asked I knew that even if she did then she would never tell me but I was desperate.
" I&apos;m sorry Marinette really I don&apos;t have a clue. So this should be fun" Tikki said excitingly.
" Yay" I responded sarcasm heavy. I never really had ever shown interest in knowing Chats identity but ever since I fell for the silly kitty I&apos;ve been a little curious. But as they say curiosity killed the cat. Good thing I&apos;m a Ladybug. When I arrived at school I stayed alert I had to. Okay Marinette you can do this. I walked into school putting Chats costume on every males bodies. It seemed like a good tactic to me. I didn&apos;t even bother with the guys that have been akumitised. I was completely zoned out I didn&apos;t even realize that I missed a step on the stairs and went tumbling down. At least I would&apos;ve if Adrien hadn&apos;t caught me. " You have to be careful were your going princess.Wouldn&apos;t want to mess up your purr-fect outfit" Adrien said. I just stared at him wide eyedm That&apos;s when everything clicked into ace. The reason he was never around during akuma attacks. Why he always had to leave when an akuma came around. It all Ade perfect sense. How in the world could I be so blind. 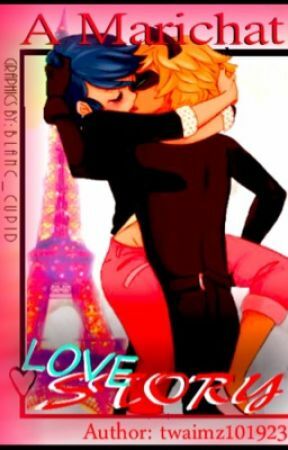 That&apos;s when Adrien did something I never would&apos;ve expected he kissed me in front of the entire school. " Figured it out didn&apos;t you princess" he purred.